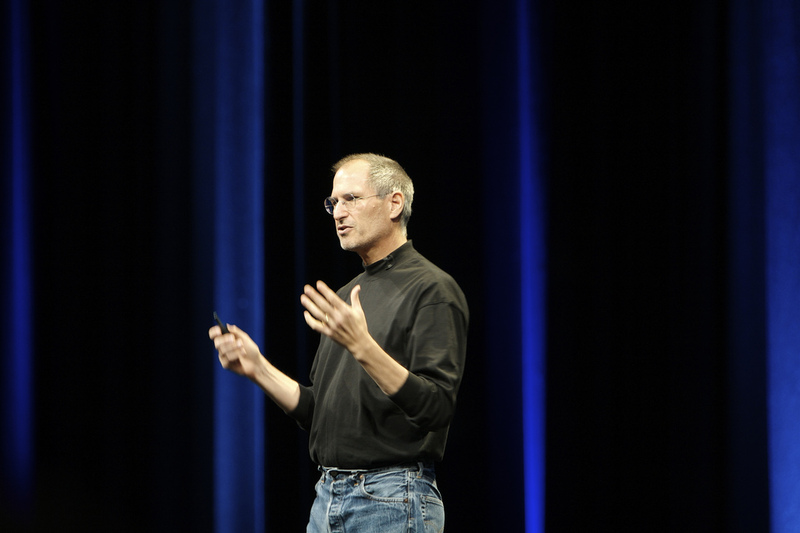 Ask anyone why they think Steve Jobs was a great speaker and they’ll usually say that it’s because of how natural and relaxed he was on stage. His manner put his audience at ease and this made them open to what he said, when he spoke, it was more like a conversation than a presentation. It’s the way that we all want to be when we speak. What’s interesting about Steve Jobs is that he was not a natural speaker, instead he puts in hours and hours of work practicing every element of his presentations, it’s the practice that made him great. He practiced so much that he looked natural. No matter what happened, he was ready and there’s nothing more relaxing that being totally prepared . It’s simple maths, the more time you put into practising and preparing a presentation, the better it’s going to be. Tagged apple, practice, presentations, public speaking, rehearse, speak like steve jobs, steve jobs. Bookmark the permalink.